Priced at Rs. 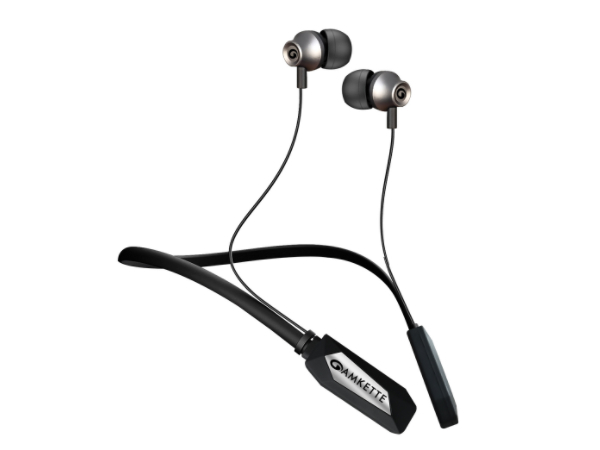 2,499, Amkette Urban wireless earphones are durable, deliver good audio and are very easy to carry around as compared to other neckband styled headphones. While there's no shortage of wireless earphones to choose from, one that offers immersive audio and ticks all other right boxes is not easy to find. Some may deliver on audio but fail to offer a durable and practical design. And if you find the best of both the worlds, the steep price-point might come into your way. Having said that, Amkette's latest in-ear headphones aims to meet all your expectations. Priced at Rs. 2,499, the Urban wireless earphones are touted as the lightest wireless in-earphones your money can buy today in the Indian market. But do they deliver on audio and other important performance factors? Let's find out in the following review. Amkette's design team has indeed managed to create the lightest wireless earphones in the market. Urban earphones are light to the point that there are instances when you actually need to be careful while stepping out from a car or while working out; otherwise they can take a plunge from your neck. To prevent this, you can certainly utlize the magnetic lock that binds the two nodes together which also houses the standard controls and microphones. On the brighter side, you won't face any difficulty carrying them around on your neck as they are very comfortable to wear, even for long durations. I did not face any discomfort wearing them throughout the day. Otherwise, it's really uncomfortable to wear wireless earphones/headphones that come with plastic neckbands which are only good for an hour or two.